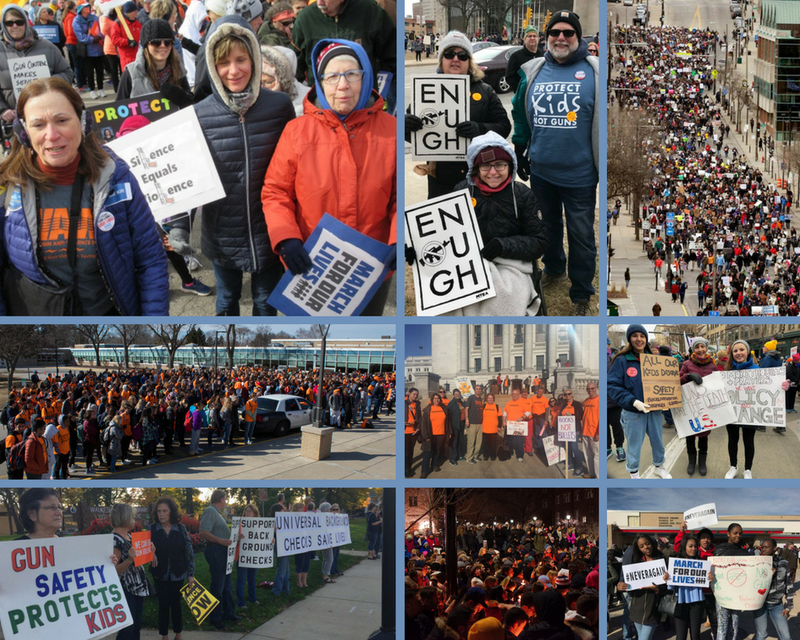 The legislative climate related to gun violence prevention remains harsh in Wisconsin, yet WAVE supporters have been able to make significant gains in pursuing lifesaving policies and in stopping radical pro-gun legislation. Importantly, all three of our policy priorities were drafted this 2017-2018 legislative session–two of them with bipartisan sponsors. Suicide Prevention: In Wisconsin, approximately three-fourths of firearm deaths are suicide deaths. WAVE worked worked closely with our allies, particularly those from the mental health and suicide prevention communities, in crafting and advocating for a bipartisan Lethal Violence Protective Order (LVPO) bill—a “red flag” bill. We will continue to work on this bill in the next legislative session. Urban Violence Reduction: Most of Wisconsin’s firearm homicides occur in the urban centers, particularly Milwaukee. Strong scientific evidence shows that we could successfully reduce gun homicides by keeping guns out of the hands of those at greatest risk for violent behaviors. 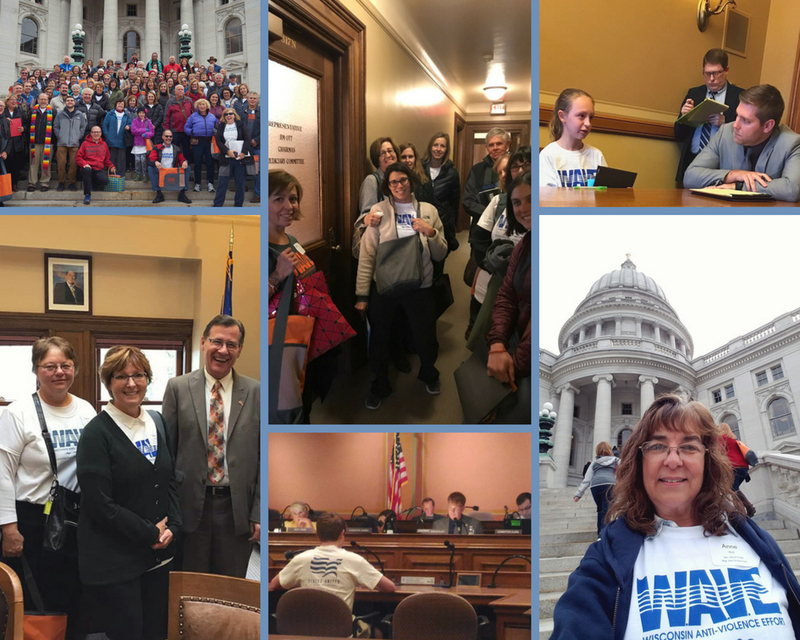 Therefore, WAVE works with key stakeholders to advocate for several important bills. In addition to the LVPO, we promoted a universal background check policy, which is central to any comprehensive approach to gun violence prevention. We also worked on a bipartisan bill that would prohibit violent misdemeanants and habitual criminals from purchasing and possessing firearms. Minimizing the Extremist Pro-Gun Agenda: WAVE provides substantial resistance to the “any gun, anywhere” agenda. Over the past year, pro-gun lawmakers introduced legislation to eliminate the training and permit requirements for public gun carrying (permitless carry), to allow guns in K-12 schools, and to require high schools to offer gun training classes. 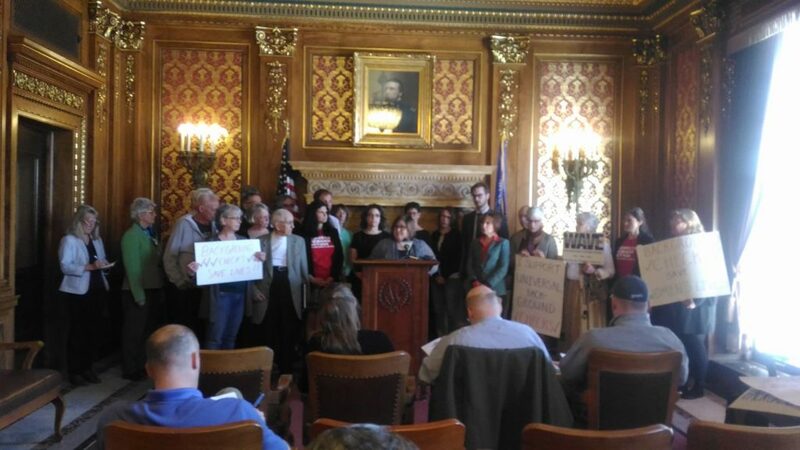 For each of these reckless policies, we generated thousands of constituent contacts with legislators and an enormous public outcry: We stopped all of these bills from becoming law in Wisconsin! WAVE action teams in key areas of the state, including Madison, the greater Milwaukee area, and the Fox Valley, meet on a regular basis to plan and host “days of action” and other volunteer-led events, such as public awareness events in their communities, press conferences, and face-to-face meetings with their legislators. Currently, our action teams are leading the effort to motivate school districts and common councils to pass resolutions aligned with our policy priorities. Our highly-engaged supporters and partners hosted WAVE at events in Madison, Milwaukee, Waukesha, Kenosha, Appleton, Brookfield, Monroe, Janesville, Sun Prairie, Stevens Point and elsewhere this year. Highlights included a staged play reading in Madison by the Forward Theater Company, a benefit concert in Milwaukee by Charlie King, and the Women’s March in Milwaukee, Green Bay, and Eau Claire. We also held our biennial Lobby Day event, bringing hundreds of gun violence prevention activists to the Capitol to meet with legislators and advocate for stronger gun laws. Organizations that actively work with us to advance gun policy reform in Wisconsin include: Mental Health America, Wisconsin; the Wisconsin Association of School Boards; Moms Demand Action, Wisconsin; Organizing for Action, Wisconsin; League of Women Voters of Wisconsin; Wisconsin Network for Peace and Justice; the Wisconsin Council of Churches; End Domestic Abuse Wisconsin; Kids Forward; Peace Action Wisconsin; Prevent Suicide Greater Milwaukee; Grassroots Northshore; Catholics for Peace and Justice; NAMI-Wisconsin; Wisconsin Chapter of the National Association of Social Workers; National Council of Jewish Women, Milwaukee; City of Milwaukee Office of Violence Prevention; Common Ground; the Wisconsin Public Education Network, and Wisconsin Voices, as well as national partners, including Guns Down, the Coalition to Stop Gun Violence, Survivors Lead, NoRA, and Moms Rising. WAVE staff and volunteers regularly attend events and meetings hosted by coalition groups, such as the Wisconsin Gun Safety Coalition, the Coalition for a People’s Sheriff, the Community Coalition for Quality Policing, the African-American Engagement Roundtable, the Jewish Community Relations Council, and the State Voices Racial Equity group, to name a few. 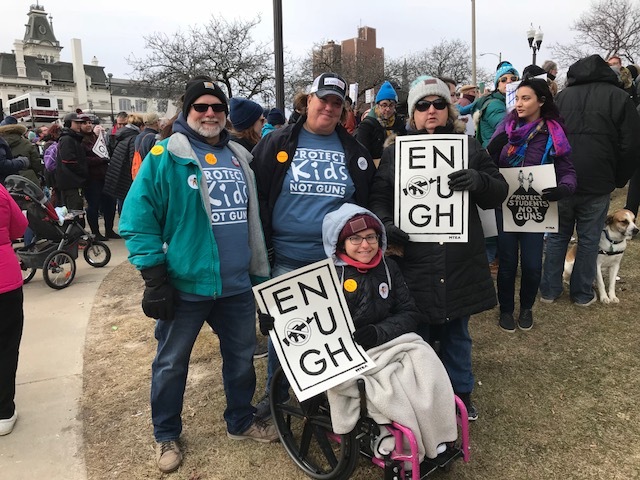 Over the past year, we also began working with a number of important new allies, including the Wisconsin Public Education Network, Progressive Moms of Wisconsin and Forward Kenosha, but perhaps our most exciting new partnerships have been those we formed with the student-led groups. Following the horrific tragedy in Parkland, Florida, thousands of young people joined the gun violence prevention movement, bringing powerful new messages from dynamic new messengers. 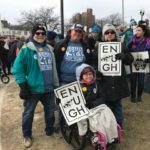 WAVE promoted and participated in March for Our Lives in 14 cities across Wisconsin, co-sponsored the 50 Miles More march, and served as the fiscal agent for March for Our Lives, Milwaukee. WAVE wholeheartedly supports and promotes the many student-led walk-outs, vigils, rallies, and marches that have occurred over the past few months. 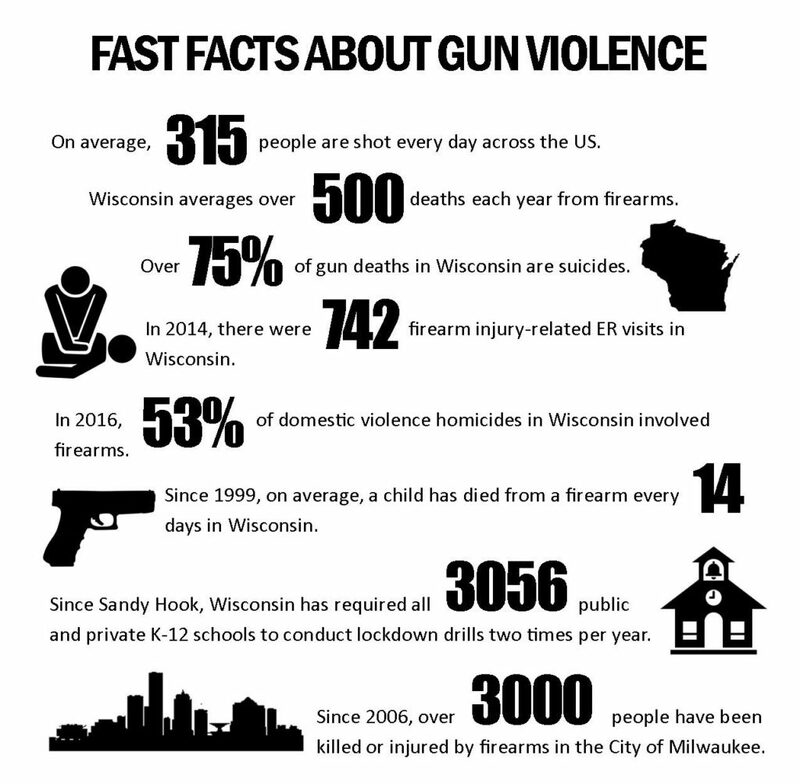 WAVE is the Wisconsin media’s go-to organization when seeking a local comment on a story related to gun violence or gun violence prevention. In 2017-18, WAVE staff, board members and trained volunteers in key areas of the state were quoted in at least 460 media hits, with a total reach of 957,310,522 people. WAVE also uses traditional and social media to push back against the “normalization” of public gun carrying. For example, last August, when the NRA came to Milwaukee to host its first-ever Carry Guard Expo to promote their new “murder insurance” product for trigger-happy gun owners, we organized a large protest rally. The result was that the NRA lost control of the message–all of the stories about the expo also included information about the real life impacts of gun violence. In addition, the negative media coverage attracted the attention of insurance regulators, who effectively shut down the new program. 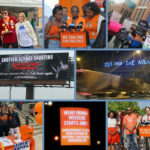 For the 4th annual National Gun Violence Prevention Awareness Day (Wear Orange Day) in June, WAVE organized four days of events across the state, including rallies, press conferences, vigils, and community gatherings. And in Milwaukee, several downtown buildings turned orange for the evening, including the Bucks training facility, the Gas Light Building, and the Pfister Hotel. 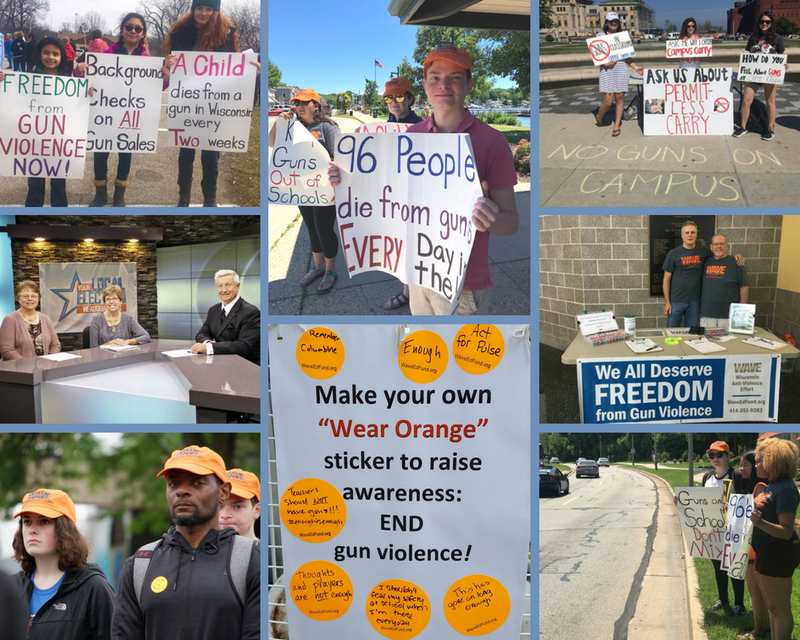 At all events we empowered our supporters and the public to take action by standing strong with our highly-visible movement, honoring the memories of lives lost, and demanding change from their elected officials. To better inform Wisconsin voters and policymakers, WAVE conducts our own primary and secondary research. Currently, a graduate student at the University of Wisconsin School of Public Health is examining the relationship between the state’s concealed weapons law and firearm deaths, particularly suicides. Her preliminary findings will be available within the next few months. 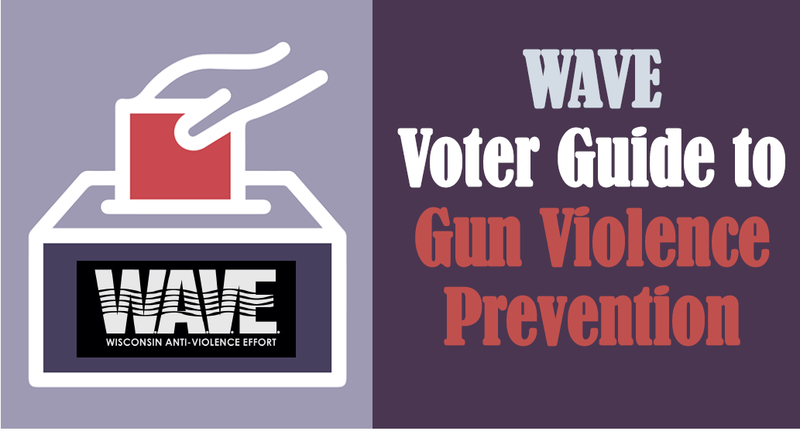 In addition, WAVE created a comprehensive voter issue guide focused on each facet of the impact of gun violence, such as public health, the economy, childhood well-being, and community safety. Each area has a detailed explanation of the topic, including relevant statistics, as well as potential solutions and suggested questions that our supporters can ask candidates and elected officials at candidate forums, town hall meetings, or on social media. 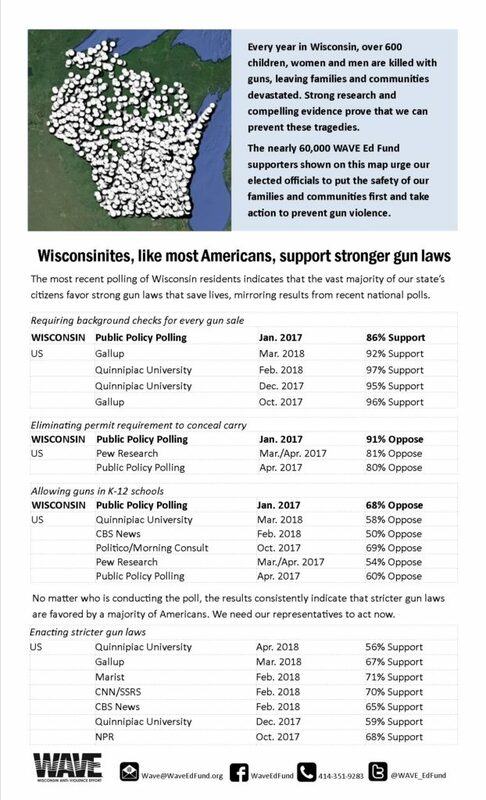 Over the past year, WAVE helped form the Wisconsin Gun Safety Coalition, a group of organizations and individuals devoted to preventing gun violence and building safer communities. After meeting regularly for several months, the coalition was formally kicked-off at a press conference April 2017. Coalition partners have already worked together to fight the dangerous “permitless carry” bill and, going forward, will work on a proactive, lifesaving agenda, including the advancement of a criminal background check bill. WAVE volunteers turned out to support the kick-off press conference of the Wisconsin Gun Safety Coalition at the State Capitol. The coalition’s endorsement of a bill to require background checks on every gun sale was also announced at that time. Coalition members include: End Domestic Abuse Wisconsin, Dr. Elizabeth Neary, Jean Papalia, Mental Health America of Wisconsin, Moms Demand Action for Gun Sense in America Wisconsin Chapter, National Physicians Alliance Wisconsin Chapter, National Association of Social Workers Wisconsin Chapter, Rep. Terese Berceau, Rep. Melissa Sargent, Rep. Lisa Subeck, Rep. Chris Taylor, Sen. LaTonya Johnson, Wisconsin Alliance for Women’s Health, WAVE Educational Fund, Wisconsin Council of Churches, Wisconsin Physicians for Social Responsibility. 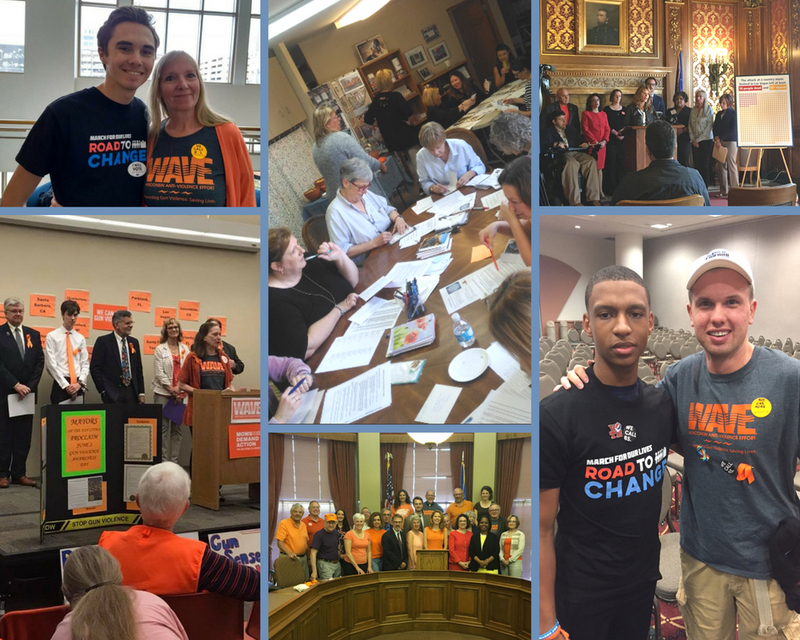 WAVE volunteer activists attended legislative hearings, town hall meetings, school board meetings, and face-to-face meetings with elected officials to ensure gun violence prevention is part of the agenda. Members of our Milwaukee-area action team attended a town hall meeting with their state senator. Of the approximately 30 citizens at the meeting, more than half were there to speak out about the “permitless carry” bill being considered by the legislature. No attendees spoke in favor of that bill, and no other policy topic generated more than a single speaker. 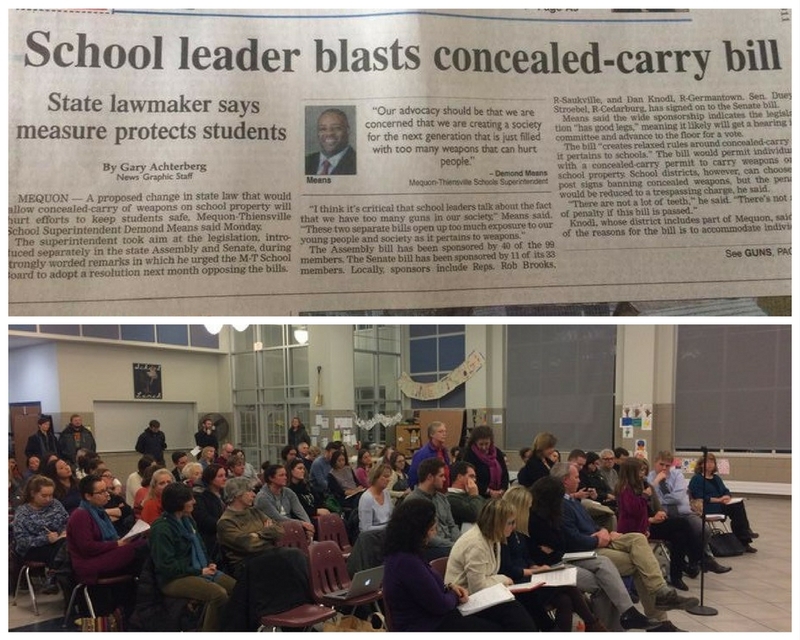 Although the senator began the meeting uncommitted on the topic of “permitless carry,” after hearing from so many constituents opposed to the bill, by the end of the meeting she had voiced her opposition to the proposal. 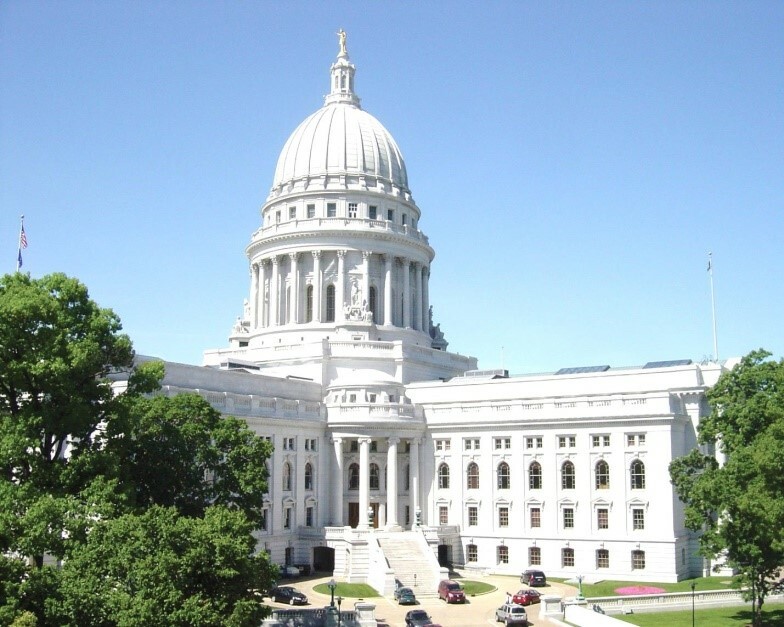 Our volunteers then went on to testify against the bill during a public hearing in Madison. The day after the public hearing, Governor Walker stated that he did not see a need for the bill. Our highly-engaged supporters hosted WAVE education and awareness events in Madison, Milwaukee, Waukesha, Monroe, Appleton and elsewhere. These events included concerts, movie screenings, panel discussions, press conferences, and virtual meetings. 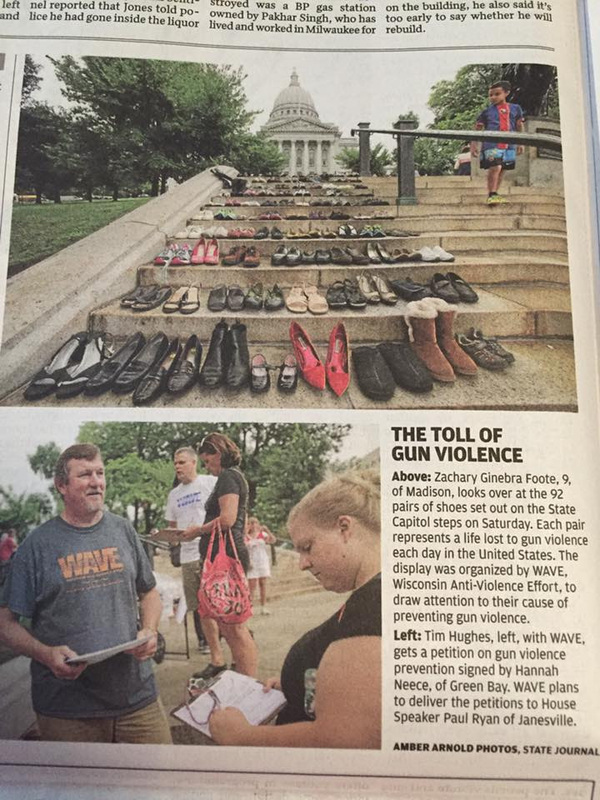 Our Madison group, for example, created a one-day display of 92 pairs of shoes at the Capitol to represent the 92 Americans killed in gun violence each day. The display generated a tremendous amount of media coverage and resulted in many signatures on a petition to pass a federal background check law. 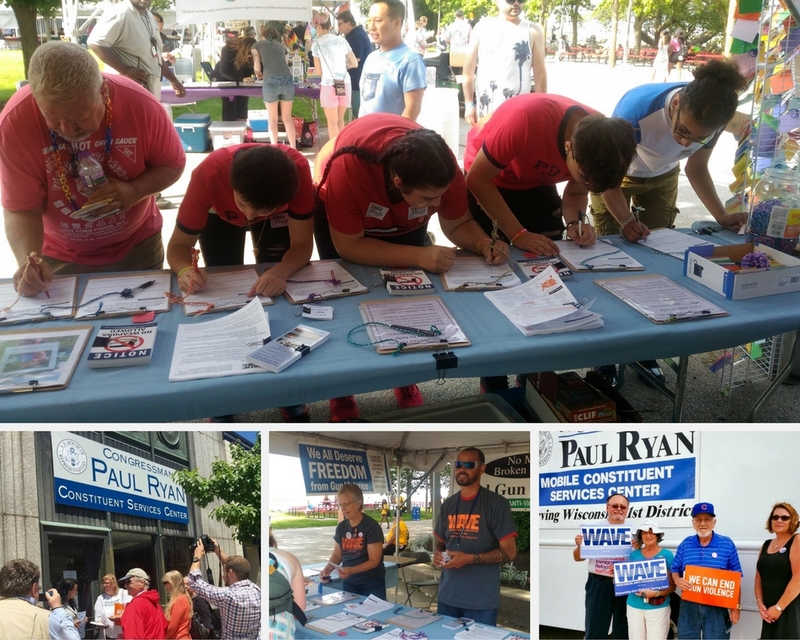 WAVE staff and volunteers gathered signatures on petitions at numerous community events and neighborhood gatherings all across the state, including Fond du Lac, Waukesha, Wauwatosa, Appleton, Madison, Oak Creek and Milwaukee. After one of the worst mass shootings in American history, WAVE activists gathered signatures at events across Wisconsin’s First Congressional District, and constituent volunteers called on House Speaker Paul Ryan to move forward a bill for universal background checks. The petitions were delivered by WAVE’s volunteers to Speaker Ryan’s staff at his district offices and during mobile office hours. WAVE volunteer activists advocated to school boards across the state to pass resolutions opposing any change in state law to allow concealed carry on school grounds. At least 15 school districts have now passed resolutions, including: Whitefish Bay, Oak Creek-Franklin, Shorewood, Madison, Nicolet, Fox Point-Bayside, Wauwatosa, Appleton, Brodhead, Kaukauna, Mequon-Thiensville, Monroe, Middleton-Cross Plains, McFarland, and Monona Grove. WAVE staff held informational sessions for our action teams. 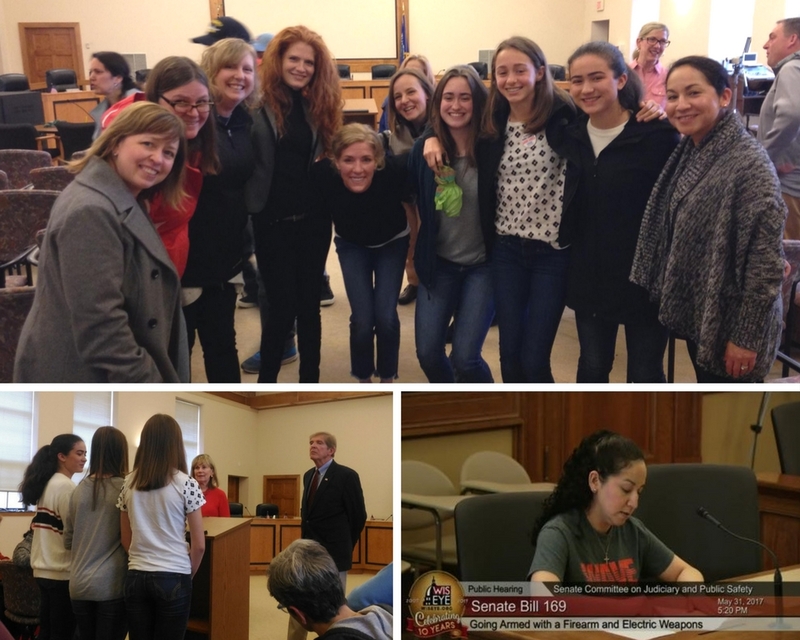 Many of our volunteers then went to their own school boards, urging them to pass resolutions opposed to any legislation that would allow guns in schools. After having success with their own school boards, our volunteer teams began recruiting other parents to take similar actions. Our volunteers explained their experiences to other supporters on a statewide conference call that WAVE hosted. Next, the volunteers created an activist toolkit, which they shared widely. As a result of their efforts, more than a dozen districts have passed resolutions, and many more are in the process of doing so. WAVE volunteers across the state provided local expertise to print and broadcast media outlets. We trained volunteers to talk to the media about the issue of gun violence prevention and its impacts on their families, neighborhoods, and communities. 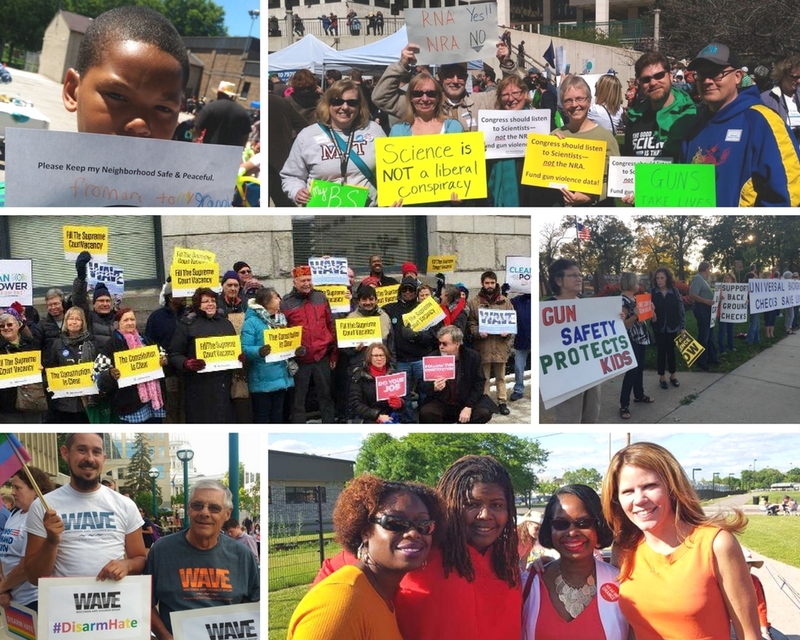 WAVE activists participated in rallies and protests across Wisconsin to bring attention to the issue of gun violence prevention. Gun violence prevention policy is intertwined with many other policies and issues. 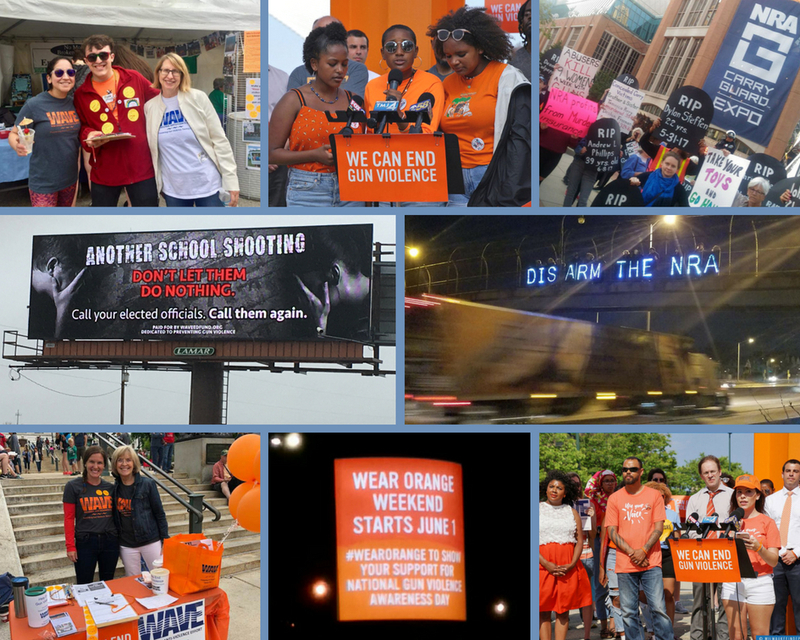 This past year, WAVE volunteers joined the Women’s March, the March for Science, and Moral Mondays, as well as the Wear Orange, Disarm Hate, and We Need Nine campaigns. Take the pledge to protect kids, not guns! Click here to promise to yourself and the kids in your life that you will vote for peace and safety. If you need to register to vote, take the pledge, and then you will be redirected to Wisconsin’s online voter registration system. This guide offers facts about the impacts of gun violence on children, families, our communities, and the economy. It also presents evidence-based policy solutions proven to save lives. We hope you will use it to become more informed about the issue and the ways in which gun policy reform can improve our safety. 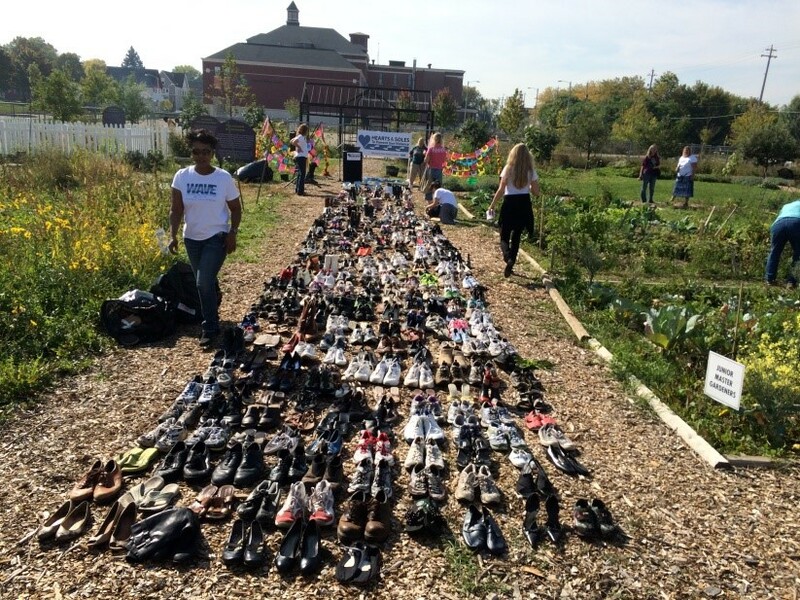 Shoe display representing the lives lost to gun violence each year in Wisconsin. Every day in the United States, approximately 300 people—including 65 children and teens—are injured or killed with guns in murders, assaults, suicides, and accidents. In Wisconsin, approximately 500 men, women and children are killed with guns each year, including the 75% who die as a result of suicide. In 2014, 133 Wisconsin veterans died by suicide, including 86 by firearm suicide. The suicide rate among veterans in Wisconsin is over twice the rate among the general population. In 2014, there were 742 firearm injury-related emergency department visits in Wisconsin. Gun deaths devastate families in both urban and rural areas, while Wisconsin’s urban areas are disproportionately impacted by homicides; the state’s less populated areas experience greater rates of gun suicide. Since Sandy Hook, there have been nearly 300 school shootings in America, about one per week. Gun violence costs our country $229 billion in combined direct and in-direct expenses annually. The Gun Violence Archive is an online archive of gun violence incidents collected from over 2,500 media, law enforcement, government, and commercial sources daily in an effort to provide near-real time data about the results of gun violence. The Archive DOES NOT include gun suicide data. 1) Require background checks on all gun sales. In Wisconsin, federally licensed dealers are required to conduct a background check on all firearm sales, but private sellers are not. This private sale loophole allows just about anyone to buy a gun with no background check, no identification, and no questions asked. 2) Prohibit habitual criminals and those with violent misdemeanor convictions from purchasing or possessing firearms for 10 years. 3) Create a mechanism that allows for the temporary removal of guns when individuals are at high risk of harming themselves or others. Often after a horrible tragedy, such as a mass shooting or a suicide, family members will report they saw clear warning signs, but there was nothing they could do. The creation of a Lethal Violence Protective Order would give family members and law enforcement officers the means to ask a judge to temporarily prohibit a person from purchasing or possessing a firearm. 4) Reinstate the 48-hour waiting period for handgun sales.